G-Protein Coupled Receptor 12 (GPR12) belongs to the orphan GPCR family which is the same of the GPR3 and GPR6. Homology model for the protein GPR12 was generated from the SWISS-MODEL website which showed an all alpha motif with seven transmembrane Î± -helix interconnected by loops. GPR12 acts through the cyclic Adenosine monophosphate (cAMP) pathway and promotes neurite outgrowth in primary neurons which can be used to slow down the progression of neurodegenerative diseases. The gene of GPR12 is located in the chromosome 13q12.13 for human, 12p11 for rat and 5; 5 G3 for a mouse with the size of 5.6 kbp, 3.4 kbp, and 4.3 kbp. Four current ongoing clinical trials studies on GPR12 was found on clinicaltrials.gov. G-Protein Coupled Receptor 12 (GPR12) belongs to the orphan GPCR family which is the same of the GPR3 and GPR6 (Ignatov et al., 2003a; Ignatov et al., 2003b). GPR 12 family members are constitutively activated and initiate the cAMP signaling cascades (Ignatov et al., 2003a). It is reported that GPR12 promote neurite extension in primary neurons (Ignatov et al., 2003a). The sequence identity of GPR12 is similar to GPCR S1P5 by 34%, GPR3 by 57% and GPR6 by 58% (Ignatov et al., 2003a; Ignatov et al., 2003b). Hence, it is hypothesized that the orphan receptors might share common ligands and also have similar physiological functions (Uhlenbrock et al., 2002; Tanaka et al., 2007). GPR12 has a high binding affinity towards Sphingosylphosphorylcholine (SPC) (Uhlenbrock et al., 2002). GPR 12 also binds with Sphingosine-1-phosphate (S1P)Â with low affinity (Uhlenbrock et al., 2002). GPR12 family members are constantly activated and cAMP downstream signaling cascades initiated (Uhlenbrock et al., 2002; Ignatov et al., 2003a). This persistent activation promotes neurite extension in primary neurons (Tanaka et al., 2007). GPR12 belongs to the orphan GPCR family which is the same of the GPR3 and GPR6 (Ignatov et al., 2003a; Ignatov et al., 2003b). According to Horn et al., GPR12 belongs to theÂ Â GPCRs, Class A Rhodopsin-like subfamily with all other Orphan GPCR receptors (Horn et al., 2003). 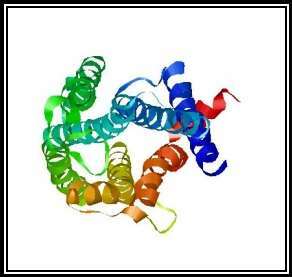 A search was conducted for “GPR12” in the RCSB protein data bank to identify the protein structure of G-Protein Coupled Receptor 12. There were no matches found in the search which is shown in figure 1.Â Hence, a Homology model for the protein was generated from the SWISS-MODEL website, 27.41% sequence identity was indicated for Cannabinoid receptor 1 (Flavodoxin). Flavodoxin, Cannabinoid receptor one was chosen as the template, and a 3D structural model was generated for GPR12 from the template which is shown in the figures 2a and 2b. The GMQE (Global Model Quality Estimation) and Q-Mean value for the generated protein 0.56 and -4.28. The generated protein showed an all alpha motif with seven transmembrane Î± -helix interconnected by loops forming four extracellular topological domains and four cytoplasmic topological domains. The alignment of protein sequence between Human GPR12 and GPR12 of other species like mouse and rat showed very less variation which indicates the protein is conserved between these species(UniProtKB; UniProtKB; UniProtKB). 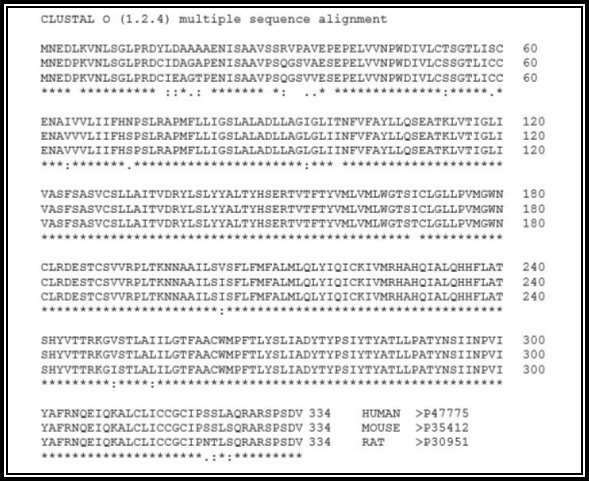 The protein alignment is shown in figure 3. The alignment of protein sequence between Human GPR12 and GPR12 of other species like mouse and rat showed very less variation which indicates the protein is conserved between these species (UniProtKB; UniProtKB; UniProtKB). The protein alignment is shown in figure 3. The gene location of GPR12 in the chromosomes locus is nearly the same for human and rat, but it is different in mouse (NCBI-Gene; NCBI-Gene; NCBI-Gene). The gene of GPR12 is located in the chromosome 13q12.13 for human, 12p11 for rat and 5; 5 G3 for mouse (NCBI-Gene; NCBI-Gene; NCBI-Gene). The GPR12 gene contains two exons in humans, three exons in rat and three exons in Mouse separating the intron sequence and the evolutionary association of the gene sequence of GPR12 between the species and between GPCR family is shown in figure 5a and 5b (NCBI-Gene; NCBI-Gene; NCBI-Gene). The GPR12 gene size for a human is 5.6 kbp, for rat it is 3.4 kbp, and for the mouse, it is 4.3 kbp (NCBI-Gene; NCBI-Gene; NCBI-Gene; Stevens et al., 2013). GPR12 mutant mice showed an effect in their emotionality was affected due to the mutation in GPR12 which was no significant changeÂ (Frank et al., 2012). GPR12 overexpressed in neurons upregulate cAMP levels and promotes neurite outgrowth in primary neurons which can be used to slow down the progression of neurodegenerative diseases like Alzheimer’s disease, Parkinson’sÂ disease, Huntington’s disease, etc. (Tanaka et al., 2007). GPR12 is also involved in the regulation of cell survival and cell proliferation which may vary during the diseased condition which causes astrocytes to proliferate at a faster rate and results in inflammation (Lu et al., 2012). A search was done for “G-Protein coupled receptor 12” on clinicaltrails.gov website which showed four current ongoing clinical trials studies on GPR12. The studies were different from each other such as Platelet reactivity (ClinicalTrials.gov), Stoke (ClinicalTrials.gov), Metastatic Lung Adenocarcinomas (ClinicalTrials.gov) and Migraine (ClinicalTrials.gov). GPR12 belongs to theÂ Â GPCRs, Class A Rhodopsin-like subfamily with all other Orphan GPCR receptors. The gene coding for GPR12 is conserved between Humans, Rats, and Mouse which indicates the existence of similar roles and function in these three animals. GPR12 is still in the stages of primary research where its structure, signaling pathways, function, and roles are still waiting to be found. GPR12 has recently assumed to be associated with Neural disorders and diseases. Clinical trials have been successfully conducted for GPR12 for many diseases one of which is depression. ClinicalTrials.gov Is There a Transient Rebound Effect of Platelet Reactivity Following Cessation of Dual Antiplatelet Therapy With Ticagrelor – a Single Center Prospective Observational Trial. Journal, https://clinicaltrials.gov/ct2/show/NCT02808039?term=G-Protein%2BCoupled%2BReceptor%2B12&recr=Open&rank=1, January 25, 2017. ClinicalTrials.gov Platelet Reactivity in Acute Non-disabling Cerebrovascular Events (PRINCE). Journal, https://clinicaltrials.gov/ct2/show/NCT02506140?term=G-Protein+Coupled+Receptor+12&recr=Open&rank=2, January 25, 2017. ClinicalTrials.gov Retrospective Analysis of the Expression of the Neurotensin Receptor by Metastatic Lung Adenocarcinomas (NTS). Journal, https://clinicaltrials.gov/ct2/show/NCT02891733?term=G-Protein%2BCoupled%2BReceptor%2B12&recr=Open&rank=4, January 25, 2017. ClinicalTrials.gov Ticagrelor Therapy for RefrACTORy Migraine Study (TRACTOR). Journal, https://clinicaltrials.gov/ct2/show/NCT02518464?term=G-Protein%2BCoupled%2BReceptor%2B12&recr=Open&rank=3, January 25, 2017. Frank, E., Wu, Y., Piyaratna, N., Body, W.J., Snikeris, P., South, T., Gerdin, A.K., Bjursell, M., Bohlooly, Y.M., Storlien, L. & Huang, X.F. (2012) Metabolic parameters and emotionality are little affected in G-protein coupled receptor 12 (Gpr12) mutant mice. PLoS One, 7, e42395. Horn, F., Bettler, E., Oliveira, L., Campagne, F., Cohen, F.E. & Vriend, G. (2003) GPCRDB information system for G protein-coupled receptors. Nucleic acids research, 31, 294-297. Ignatov, A., Lintzel, J., Hermans-Borgmeyer, I., Kreienkamp, H.-J., Joost, P., Thomsen, S., Methner, A. & Schaller, H.C. (2003a) Role of the G-protein-coupled receptor GPR12 as high-affinity receptor for sphingosylphosphorylcholine and its expression and function in brain development. Journal of Neuroscience, 23, 907-914. Ignatov, A., Lintzel, J., Kreienkamp, H.-J. & Chica Schaller, H. (2003b) Sphingosine-1-phosphate is a high-affinity ligand for the G protein-coupled receptor GPR6 from mouse and induces intracellular Ca2+ release by activating the sphingosine-kinase pathway. Biochemical and Biophysical Research Communications, 311, 329-336. Lu, X., Zhang, N., Meng, B., Dong, S. & Hu, Y. (2012) Involvement of GPR12 in the regulation of cell proliferation and survival. Mol Cell Biochem, 366, 101-110. 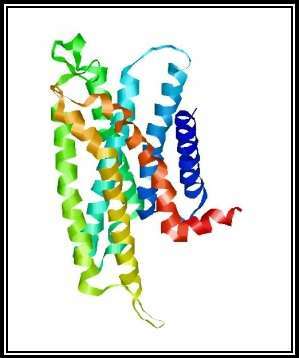 NCBI-Gene Gpr12 G-protein coupled receptor 12 [Mus musculus (house mouse)] – Gene – NCBI. Journal, https://www.ncbi.nlm.nih.gov/gene/14738, January/25/2017. NCBI-Gene GPR12 G protein-coupled receptor 12 [Homo sapiens (human)] – Gene – NCBI. Journal, https://www.ncbi.nlm.nih.gov/gene/2835, January/25/2017. NCBI-Gene Gpr12 G protein-coupled receptor 12 [Rattus norvegicus (Norway rat)] – Gene – NCBI. Journal, https://www.ncbi.nlm.nih.gov/gene/80840, January/25/2017. 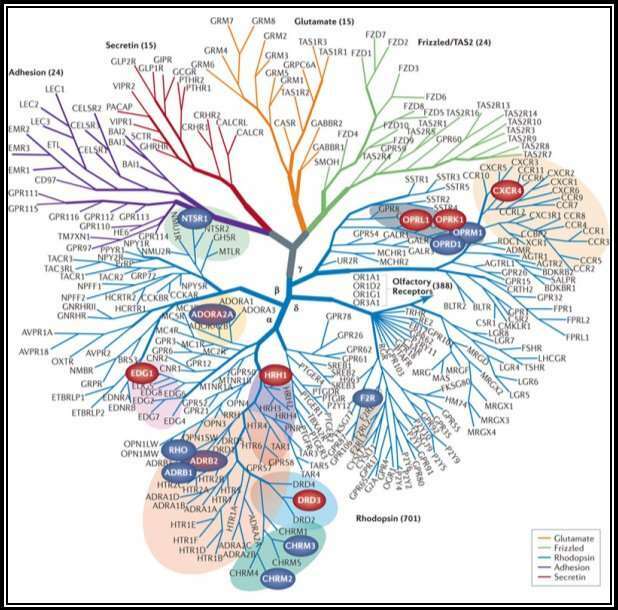 Stevens, R.C., Cherezov, V., Katritch, V., Abagyan, R., Kuhn, P., Rosen, H. & Wuthrich, K. (2013) The GPCR Network: a large-scale collaboration to determine human GPCR structure and function. Nat Rev Drug Discov, 12, 25-34. Tanaka, S., Ishii, K., Kasai, K., Yoon, S.O. & Saeki, Y. (2007) Neural expression of G protein-coupled receptors GPR3, GPR6, and GPR12 up-regulates cyclic AMP levels and promotes neurite outgrowth. J Biol Chem, 282, 10506-10515. Uhlenbrock, K., Gassenhuber, H. & Kostenis, E. (2002) Sphingosine 1-phosphate is a ligand of the human gpr3, gpr6 and gpr12 family of constitutively active G protein-coupled receptors. Cellular signalling, 14, 941-953. UniProtKB GPR12 – G-protein coupled receptor 12 – Homo sapiens (Human) – GPR12 gene & protein. Journal, http://www.uniprot.org/uniprot/P47775, January 25, 2017. UniProtKB Gpr12 – G-protein coupled receptor 12 – Mus musculus (Mouse) – Gpr12 gene & protein. 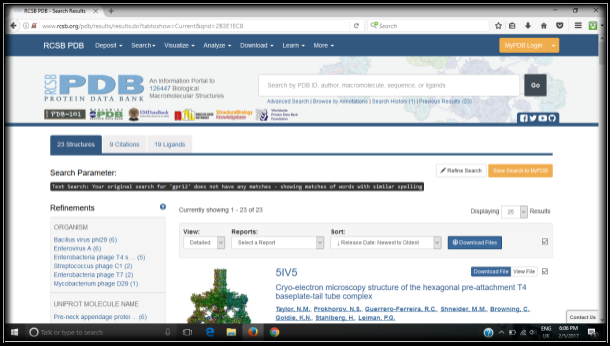 Journal, http://www.uniprot.org/uniprot/P35412, January 25, 2017. UniProtKB Gpr12 – G-protein coupled receptor 12 – Rattus norvegicus (Rat) – Gpr12 gene & protein. Journal, http://www.uniprot.org/uniprot/P30951, January 25, 2017. Figure 1: No structure was found for the protein GPR12 in RCSB Protein data bank. Figure 2a: Side view of the GPR12 structure which was generated by SWISS-MODEL. The protein is showing an all alpha motif with seven transmembrane Î± -helix interconnected by loops forming four extracellular topological domains and four cytoplasmic topological domains. Figure 2b: Top view of the GPR12 structure which was generated by SWISS-MODEL. The protein is showing an all alpha motif with seven transmembrane Î± -helix interconnected by loops forming four extracellular topological domains and four cytoplasmic topological domains. Figure 3: GPR12 protein alignment for the species Human, mouse and rat generated from ClustalW. “*” (asterisk) indicates positions which have a single, fully conserved residue, “:” (colon) indicates conservation between groups of strongly similar residue properties, “.” (period) indicates conservation between groups of weakly similar residue properties. "Analysis of G-Protein Coupled Receptor 12." UKEssays.com. 11 2018. All Answers Ltd. 04 2019 <https://www.ukessays.com/essays/sciences/analysis-gprotein-coupled-receptor-12-3746.php?vref=1>. "Analysis of G-Protein Coupled Receptor 12." All Answers Ltd. ukessays.com, November 2018. Web. 25 April 2019. <https://www.ukessays.com/essays/sciences/analysis-gprotein-coupled-receptor-12-3746.php?vref=1>. UKEssays. November 2018. 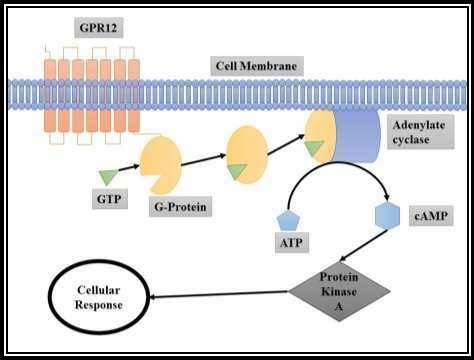 Analysis of G-Protein Coupled Receptor 12. [online]. Available from: https://www.ukessays.com/essays/sciences/analysis-gprotein-coupled-receptor-12-3746.php?vref=1 [Accessed 25 April 2019]. UKEssays. Analysis of G-Protein Coupled Receptor 12 [Internet]. November 2018. [Accessed 25 April 2019]; Available from: https://www.ukessays.com/essays/sciences/analysis-gprotein-coupled-receptor-12-3746.php?vref=1.